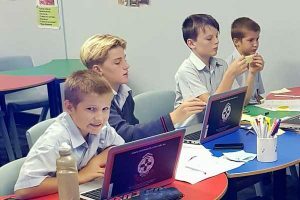 On Thursday 8 March, Kai Wheelock, Ikey Allen, Jai Heaney and Jett Heaney competed in a Virtual Debate against Walford Anglican school for Girls (South Australia). This is a new competition for St Edward’s and means we can debate schools across the whole of Australia without leaving the College. The topic for the debate was: That employers should be able to fire employees based on social media posts and presence. A fantastic debate proceeded and our school narrowly lost but gave a wonderful battle, the adjudicator had high praise for the St Edward’s College team.